What does 420 mean? A guide to the significance of 420, the origin of 420, and 4/20 Weed Day celebrations around the world. 420. In the world of marijuana, these three numbers hold a lot of meaning. 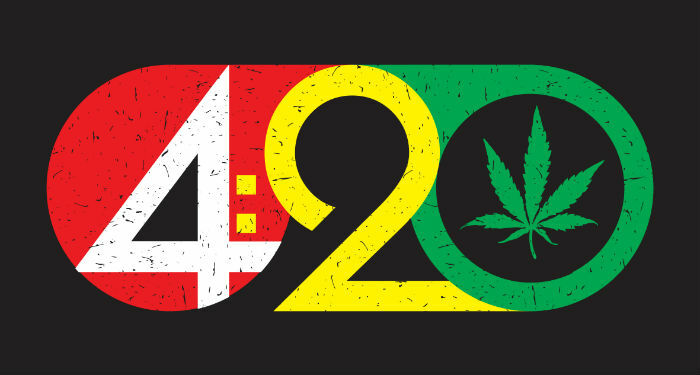 4 20 can be used as a code, 4:20 as a time of the day, or the date of 4/20 each year, but no matter what, the number 420 is sacred to cannabis connoisseurs throughout the world. What is 420, exactly? Why does it mean so much to marijuana enthusiasts, and what are the origins of the meaning behind the number? What is 420 and how did the legend originate? Simply put, 420 (pronounced “four-twenty”) is a code term for consuming cannabis. Whenever people can’t be candid about what they’re doing later, they can simply say “420” and those who are in the know will understand. The 420 code has become interwoven into cannabis culture, with 420 merchandise, 420 references in music, and even hidden-in-plain sight 420 “Easter Eggs” in movies. For any cannabis connoisseur, understanding the meaning of 420 is a vital part of Cannabis 101. April 20th – 4/20 in American format, has become an international “weed day” – an annual celebration of all things marijuana-related. On this counterculture April 20 holiday, some folks gather to consume marijuana, get high, and have fun. For others, the day takes on a more political tone and they use it to plan events to educate and advocate for an end to cannabis prohibition. Events are held in the U.S. and around the world, from London to Dunedin and New Zealand. For those who would like to take part in the annual 420 action, here are some of the best places to find like-minded cannabis connoisseurs, listen to music, and purchase marijuana-themed merchandise from vendors. One of the most tie-dyed 4/20 celebrations takes place each year on Hippie Hill in Golden Gate Park near the iconic Haight-Ashbury. While it’s not a formally-organized gathering and public consumption of marijuana remains illegal in the state of California, the authorities typically allow this smoke out/celebration to take place without disturbing its participants. By 1 p.m., the crowd has gathered and by 4:20, they’ve hit a drumming, smiling, smoking frenzy. When Colorado legalized recreational marijuana in January of 2014, it set Denver up for some extremely large 420 celebrations. Denver is, after all, known as the “Mile-High City.” Part party and part trade show, the Denver 420 Festival is the perfect place for cannabis lovers to spend their 420 holiday. While there, they can dance to reggae bands, purchase marijuana flower, concentrates such as BHO as well as edibles, and peruse a marketplace that’s chock-full of cannabis-themed products. Attendees enjoy all of this amidst the fresh Colorado air and against the backdrop of the Rocky Mountains – a setting that many deem ideal for the perfect 420 day festival. Of course, tourists can visit Amsterdam any day of the year and legally smoke marijuana at one of the cannabis coffee shops there. However, the Amsterdam 420 Festival held outside City Hall is a once-in-a-lifetime experience. There’s music, dancing, and a protest smoke-out organized by NORML (The National Organization for the Reform of Marijuana Laws). During the years where there hasn’t been a formal festival put together, people gather in Vondelpark for a quiet smoke-out gathering. Visitors are advised to do a bit of online research before going to find out exactly where the 420 crowds will be gathering for the National Marijuana Day celebration/protest. Cannabis fans traveling in the UK next April 20th may want to consider heading to London’s Hyde Park for one of the world’s best-known 420 activities. Thousands of people gather there to hear amazing bands and celebrate marijuana day amongst like-minded individuals. Keep in mind that cannabis isn’t legal in the UK and festival-goers have been arrested in the past, so visitors should use caution and common sense. Originally billed as the “biggest protest festival in the city,” the attendees of Vancouver’s 420 Day now have a reason to celebrate: in October 2018, marijuana was officially legalized in Canada. The Vancouver 420 festival regularly brings in over 10,000 people, and it’s growing each year. It consists of music near the beach, the world’s only open-air cannabis farmers market, and opportunities to learn about cannabis, ongoing legislation, and activism opportunities. What’s the origin of 420? Where did the code phrase come from? The significance of the number has taken on a mythical quality in the marijuana world. There are many different theories and myths about how 420 first became associated with cannabis culture. The most popular theory about the phrase is that “420” is law enforcement radio code for “Marijuana smoking in progress!” It’s a seemingly straightforward explanation, but it’s simply not true. Many people assume that 420 is the number of chemicals in marijuana – also not true. Cannabis does contain over 400 chemical entities (including active ingredients known as cannabinoids), but the exact number has not been finalized at 420. Another 4/20 falsehood is that the number signifies the date of Bob Marley’s birthday. He was actually born on February 6. Other 4/20 myths say that the day and number became noteworthy because it’s the day that music legends Jimi Hendrix, Janis Joplin, and Marley passed away. None of them died in April – or on the 20th of the month. One (easily disproven) myth about the 420 meaning is that it’s the day Bob Marley was born or died. The beginning of the 420 legend starts in 1971 when a particular group of teens were students at San Rafael High School. 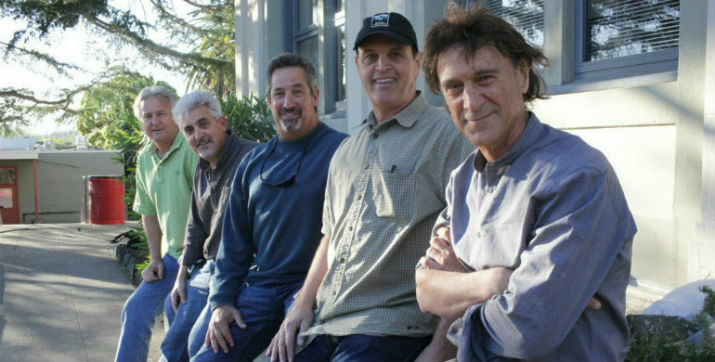 The guys – Larry, Dave, Steve, Jeff, and Mark – named themselves the Waldos because they used to hang out next to the wall in front of their school. The group heard a rumor about a Coast Guard service member who had planted and abandoned a marijuana crop in the woods near the Coast Guard Station on the Point Reyes Peninsula. The Waldos didn’t want the crop to go to waste, so they decided to seek it out and harvest it themselves. Each day, the boys would meet at 4:20 in front of the Louis Pasteur statue in the schoolyard. From there, they would load up and head off to hunt for the missing marijuana, smoking the entire time. When they’d see each other in the school halls throughout the day, they referred to their covert operation as “4:20 Louis.” Over time, they shortened it to “4:20.” Eventually, the phrase evolved into a code word to refer to simply smoking marijuana. The Waldos never did find the secret marijuana crop, but they spent lots of time driving around, getting lost, and smoking while looking for it. 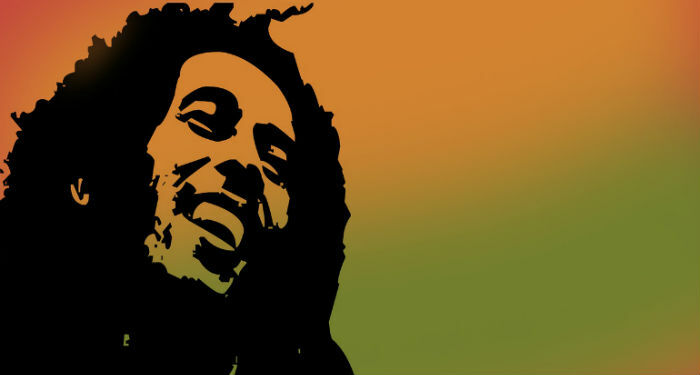 No marijuana legend would be complete without an equally-legendary musical influence. When hard drug users and criminals took over Haight Ashbury, the Grateful Dead moved to San Rafael. Waldo Mark’s father managed real estate for the band and Waldo Dave’s older brother was friends with Phil Lesh, their bassist. The Waldos found themselves hanging out with the Dead and listening to them practice for hours on end. Eventually, the band picked up 420 as marijuana slang and started using the term themselves. In 1991, High Times magazine printed a flyer that featured the term (one that had been passed out at Grateful Dead shows a year earlier). After that, High Times began referring to “420” in its reporting. Suddenly, the phrase began catching on amongst the mainstream public. 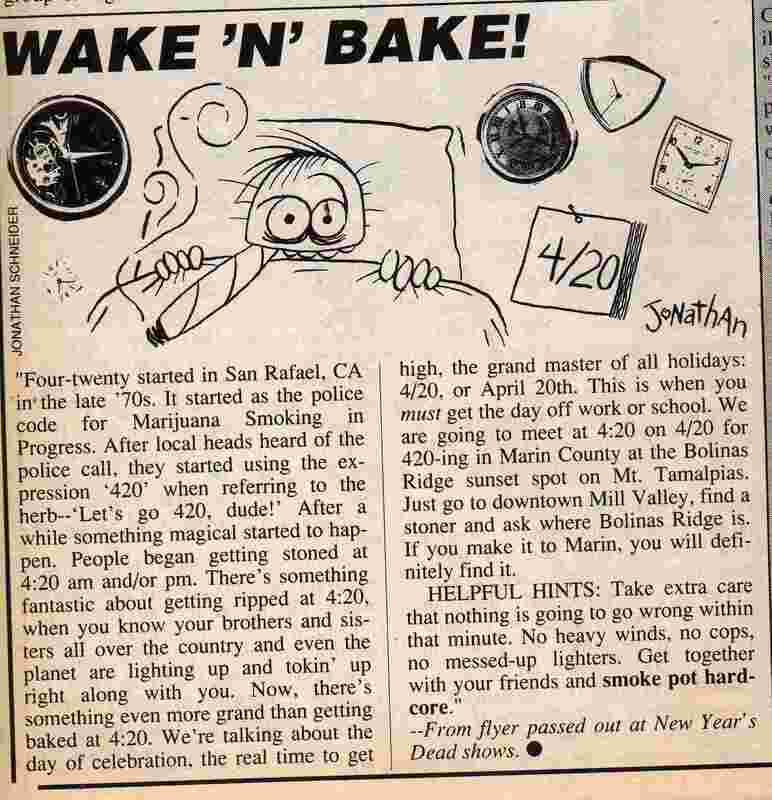 In the late 90’s, the Waldos contacted the magazine with their story and showed them proof (in the form of letters and an old, handmade 420 flag) that their group originated the phrase. While others have come forward with this same claim to fame over the years, the Waldos are widely recognized as the founders of 420. Four guys nicknamed “the Waldos” are largely recognized as being the founders of 420. Whether it’s 4/20 as a date, 4:20 as a time of day, or 4 20 in general, questions about the meaning of 420 have been swirling for years. Here are some of the most frequently-asked 420 questions. Although it’s a seemingly innocuous number, over the years, 420 has come to represent smoking marijuana and cannabis culture. It began as code between a group of teenagers communicating about the time of day they always met to get high. As 420 celebrations take place annually, many people wonder, “What is the significance of 420? Where did 420 come from?” It’s widely believed that 420 originated with a group of students at San Rafael High School in California who used to gather at 4:20 each day to smoke marijuana. “420-friendly” is a way for businesses to advertise that they’re marijuana-friendly. This is especially important in cannabis tourist destinations such as Colorado. Most hotels are smoke-free and state law prohibits public marijuana use, making 420-friendly hotels a way for tourists to legally consume their purchases. Many 420 myths have circulated for years, but the legend most likely to be true involves five students at San Rafael High School in California. The teens would meet in front of the school to smoke marijuana at 4:20 each day and eventually, “420” became their code for cannabis. 420 started as code between marijuana-loving high school students and has exploded into worldwide use and annual 420 Day celebrations. 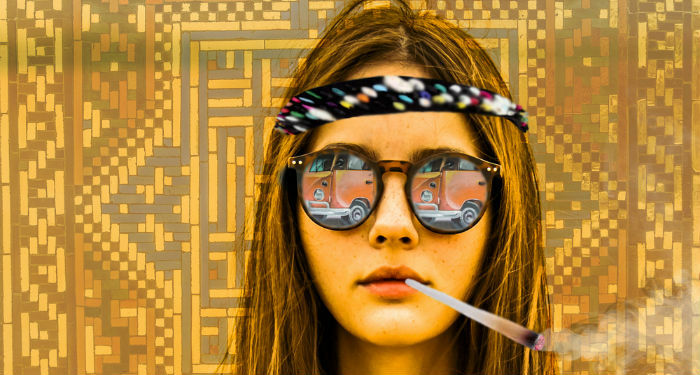 Over the years, the 420 phenomenon has become almost cult-like. Road signs with the number on it are regularly stolen (much to the frustration of law enforcement). After repeatedly replacing the 420 mile marker sign on Interstate 70 just out of Denver, the Colorado Department of Transportation was finally forced to put up a sign that simply read “419.99.” Departments of transportation in other states have adopted similar strategies. Officials in the state of Minnesota changed the signs for “420 St” to read “42x St” in an attempt to stop the thievery. In other states, officials have simply thrown up their hands and spray painted their 420 mile markers on the roadside pavement. Now that marijuana legalization has arrived in more places, the 420 furor is growing even louder. This means that the 420 myth and madness likely won’t be disappearing anytime soon. Cannabis 101 - Cannabis information guide that ranges from cannabis culture to consumption methods. Cannabis and Cryptocurrency - A detailed guide to cryptocurrency and the cannabis industry. Cannabis and Driving - The effects of marijuana on driving; cannabis and professional drivers. Cannabis and Gaming - Marijuana's effect video game performance and why top gaming organizations are banning it. Cannabis Decarboxylation - What decarboxylation does, as well as choosing the best decarb methods. Cannabis Facts - Fascinating info about cannabis history, facts about medical marijuana, and more. Cannabis Home Decor - A guide to chic and sophisticated 420 decoration ideas. Cannabis Prohibition - A guide to the history of marijuana prohibition in the U.S.
Cannabis Tea - A guide to marijuana tea effects, its benefits, and how to make THC and CBD tea. Cannabis Technology - An overview of the ways marijuana technology has changed the cannabis industry. Cannabis Terpenes - A 101 guide to the uses, medical benefits, and research on marijuana terpenes. Cannabis Tourism - A guide to marijuana tourism in places with legal cannabis around the world. Federal Marijuana Legalization - Who are the biggest players in the fight against federal marijuana legalization in the U.S.A.? History of Cannabis - A sweeping history of marijuana and hemp from ancient times into the modern day. The Cannabis Industry - A cannabis industry overview: its past, factors that have made it grow, and its potential future.